It is a fact that chronic allergic rhinitis, often with an acute flare-up in the pollen season, causes much more misery than asthma, which is easier to control with inhaled steroids. Chronic rhinitis is an aspect of their allergy problems which is often ignored completely and no treatment whatever given. In this country, unlike the rest of the western world, most chest specialists know little or nothing about allergy, have no interest in the nose, seldom ask about nasal obstruction, and never think of looking up it. This is in spite of the fact that 80% of severe asthmatics also have rhinitis, a condition usually regarded in the UK as the province of the Ear, Nose & Throat (ENT) department, who in turn rarely have any interest in the chest and seldom in the allergies which affect about half of their ENT out-patients. Allergic rhinitis affects from 10 to 25% of the population, and between 40 and 70% of patients with rhinitis have asthma. This is an enormous and largely unrecognised problem which is said to account for about a third of GP consultations and has effects on education, examination results, and working performance. 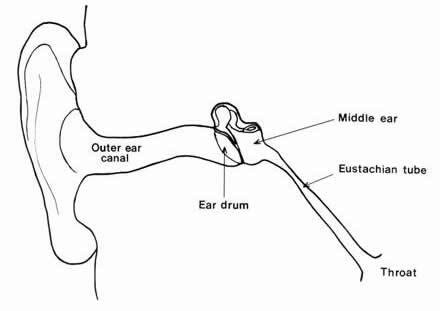 Rhinitis cases are normally referred to ENT departments, which at first may seem to make sense, but ENT specialists are almost always surgeons. Most of these patients do not need surgery for their allergies unless they have chronic sinus infection, nasal obstruction, polyps, or need insertion of grommets for glue ears which can be caused by allergy. However, nasal surgery has been vastly improved by recent developments such as flexible fibre-optic endoscopes and scanners. Also, perennial allergic rhinitis frequently develops into asthma, yet there are only two clinics in this country which specialise in these problems, and the chief medical consultant to the London clinic will retire soon. Provision and training for the investigation and allergy of the nose and sinuses in the UK would appear to be even more inadequate than it is for allergies in general. Leading European and American specialists now regard the nose and the bronchi as a single airway, and refer to rhinitis and asthma as “united airway disease”. This makes good sense because the nose is an important part of the respiratory system responsible for filtering and warming the air delivered to the bronchi, except when inhaled through the mouth because of a need for more air, or because of nasal blockage. Obviously airborne allergens hit the nose first, so rhinitis would be expected to be more common than asthma. 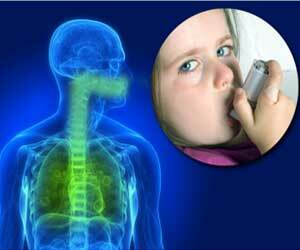 When the nose is blocked the airborne allergens are delivered directly to the bronchi, perhaps to cause asthma. The causes of rhinitis and asthma are very often the same, so they are dealt with together here. The main differences lie in the anatomy of the nose. The ubiquitous dust mite is the major cause of both rhinitis and asthma, having been provided with the ideal habitat by double glazing, fitted carpets, central heating, and the damp climate. Pets sharing our environment are also a major cause of rhinitis, but are seldom banished even when causing allergies.. Desensitising injections to immunise against animals are not allowed here, but in the USA even dogs get allergy shots !!! Looking up the nose is a simple procedure which will often reveal the typical appearances of nasal allergy, but is surprisingly seldom done, even by using the same instrument normally used for looking in ears. The presence or absence of eosinophil cells in the nasal discharge, or in a specimen scraped from inside the nose, can confirm the diagnosis of allergic rhinitis, and will predict whether steroids will be effective, just as with asthmatic sputum. If the nose is partly or completely blocked it should be obvious that steroid or antihistamine nasal sprays will not help, yet sprays are often prescribed without considering the nasal airway. Either antihistamine tablets or short-term oral steroids, which reach the nasal mucosa through the blood-stream and clear the congestion from behind, may be necessary to shrink the swelling and open up the nasal passages. Once the airway is cleared then regular daily steroid sprays can reach the inside of the nose and may prevent the inflammation and swelling from coming back. Many patients do not take their steroid sprays regularly because they do not relieve the congestion immediately so they think the sprays are useless, or because they fear non-existent steroid side-effects, or because they do not know that for perennial rhinitis they need to take the steroid spray perennially. Patients often stop treatment as soon as they feel better, so the rhinitis relapses, the nose blocks up, and the spray becomes useless again. Many sufferers simply put up with the sneezing, stuffiness, congestion, snoring, liability to infection, and nasal voice, to mention only a few of the problems associated with rhinitis, and may not even bother to go back to their doctor because they think that nothing more can be done. People who are not physically active or live in a bungalow may not even notice increasing shortness of breath caused by the covert development of asthma as well as rhinitis. 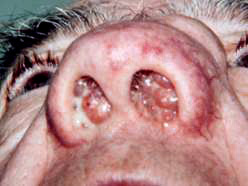 Nasal Polyps develop high up in the nasal cavity and resemble small grapes, occupying the cavity until they eventually protrude from the nostril as shown in the two extreme examples above. 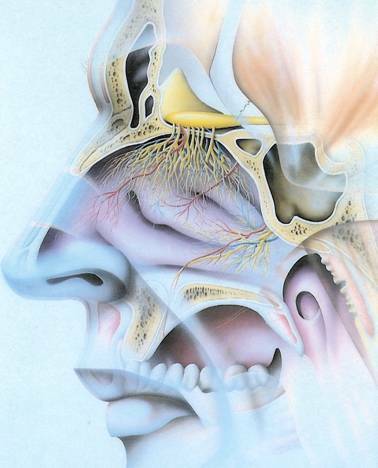 The sensation of smell is caused by airborne molecules coming from the source of a smell to the sensors in the upper part of the nasal cavity, as shown in yellow in the diagram. The polyps, or severe swelling of the lining of the nose caused by allergic rhinitis, prevents the air carrying the molecules of smell from reaching the sensors, so that patient cannot smell anything. The smear from a polyp is usually full of eosinophil cells suggesting that the cause is allergy, but it is very uncommon to find the causative allergen. All skin and blood tests are negative, but nasal polyps are very sensitive to oral steroids so a short course will often shrink them almost completely. ( I call this a chemical polypectomy ) When this has been achieved local steroid treatment with a steroid spray or drops may keep them suppressed. Polyps prevent the sinuses from draining normally, and render the patient susceptible to sinus infections which may require surgery, but might be avoided by early medical treatment.. Sensitivity to aspirin is the commonest drug allergy, frequently associated with asthma and polyps, but there are no skin or blood tests to make a definite diagnosis as it is not IgE mediated.. It can be limited to aspirin, or extend to all the common pain-killers and non steroidal anti-inflammatory drugs (NSAID’s), so that these drugs can cause sudden and dangerous asthma attacks without warning. Many NSAIDs are available over the counter at the pharmacy, and aspirin or a similar drug is often included a tablet without the fact being obvious. It is, therefore, very important for anyone with polyps or a tendency to polyps to avoid NSAID’s by always reading the labels carefully. Aspirin was discovered in willow bark, and as there are many aspirin like substances in foods, so a special diet is sometimes necessary, but is very difficult. 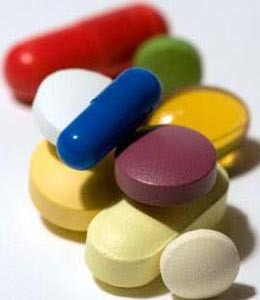 In recent investigations one in five adult asthmatics were found to be at risk of life-threatening asthma from taking simple pain-killers.The diagnosis can be confirmed by giving increasing doses of aspirin to provoke a mild attack and then, by giving gradually increasing doses until a full dose is tolerated, to desensitise the patient to aspirin. To be safe these procedures must be carried out in a centre with full facilities to deal with serious reactions. Nasal polyps are notorious for their tendency to reappear after surgery, especially if complete removal is not followed by immediate continuous suppressive treatment. Flexible endoscopes have made complete eradication of polyps more likely because the surgeon can see what he is doing much better than ever before. Steroid sprays, all of which are effective, or soluble betamethasone steroid drops, plus antihistamines or montelukast, if used continuously may suppress any tendency to recurrence, but are sometimes omitted because of fear of steroids. Betamethasone drops have been shown to have slight side-effects in long-term use, but Flixotide Nasules have been shown not to have side-effects. Nasules are supplied as separate doses in disposable plastic ampoules without the preservatives which disagree with some patients. They are best taken lying flat with the head over the edge of the bed so that the fluid reaches the upper part of the nose, and this position retained for several minutes. This development in treatment does not seem to be widely known or used at present, and may prevent recurrence of polyps. Foods can sometimes cause Polyps. Theresa was forty-two and had had asthma for 20 years, worse in damp weather, and occasionally coughed up little bits of sputum resembling boiled sago. This is diagnostic of asthma, as this type of sputum contains nothing else but eosinophil cells, and was first described by Laennec, the inventor of the stethoscope., about 200 years ago. For several years her asthma had been gradually becoming worse, and her sense of taste and smell disappeared. Polyps were removed several times and she could smell and taste again after surgery, but only for about six weeks. There was a very extensive family history of a variety of allergies. Ever since she had been advised by a health visitor to drink plenty of milk while she was breast feeding she had diarrhoea if she took more than a pint a day. 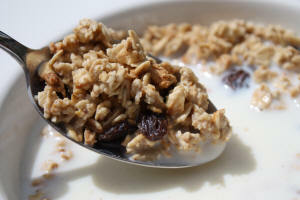 Most breakfast cereals caused immediate abdominal discomfort. Skin tests were mildly positive to milk and wheat, and she had very heavy shadows under the eyes suggesting a food problem, so a diet consisting of only the few foods which rarely cause problems was commenced. Within a few days she felt like a different person, all her symptoms disappeared, her sense of smell returned completely for the first time in eight years, and she no longer woke in the morning feeling tired, a symptom which she had had for so long that she thought this was normal. The change was so obvious that her husband felt that he had acquired another wife with a different personality! Her nasal airway was good, the polyps had disappeared, and her sense of smell was so good that she could smell her husband’s socks again! Reintroduction of any milk product, any cereal, soya, and egg all repeatedly reproduced symptoms. Over the last four years she has gradually constructed a diet which she can tolerate, and unless she has picked up an infection neither the asthma nor the polyps have recurred. She has acquired many cookbooks on elimination diets and is considering constructing her own website so that others with similar problems can share her experience, and she can benefit from theirs. How often polyps are related to food intolerance is completely unknown. Chronic Rhinitis with a chronically blocked and runny nose and sneezing is very common in children, but often not recognised as due to allergy, and simply endured and ignored. 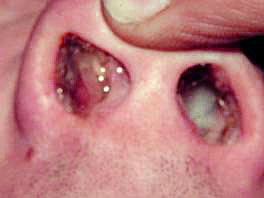 It is common to have asthma as well, but the nasal problems often cause more disturbance to the quality of life than the asthma by causing nasal blockage, tendency to sinus infections, snoring, mouth breathing, glue ears from blockage of the Eustachian tubes, and even orthodontic problems with distorted teeth and palate. 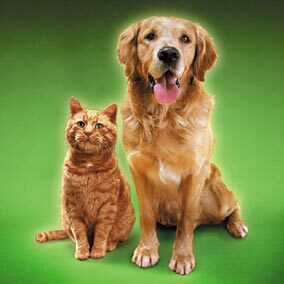 If the cause is in the environment or the food repeated insertion of grommets may give only temporary relief. Nasal allergy cannot be removed surgically, yet surgery may be advised without benefit. Chronic perennial rhinitis can be diagnosed easily by anyone because the sufferers are often sniffing, rub the nose upwards in a characteristic gesture, often have a crease across the tip of the nose, and heavy shadows under the eyes. The photos HERE illustrate the characteristic appearances of children with allergy problems. Few doctors are familiar with these obvious signs of nasal allergy which can have quite serious effects on health. The crease across the nose is one of the commonest signs of allergy and is due to rubbing the nose upwards to ease the itching, a gesture which is called the “allergic salute” in the USA. One of the main advocates of the ‘spot diagnosis’ of allergy was the late Dr Meyer B Marks of Miami, Florida, who published a monograph on the effects of nasal allergy illustrated with similar pictures. I always remember a small boy about thirty years ago with chronic rhinitis and an obvious nasal crease who took my comments so seriously that he went round his class at school and reported at his next visit that 10 out of thirty children also had nasal creases! I wonder what the count would be now, and if he went for a medical career! Rhinitis due to milk may easily be overlooked as it would seem such an unlikely possibility. David was aged ten, and had had perennial rhinitis, frequent 'otitis media', and frequent ‘tonsillitis’ for five years, and been hyperactive since infancy. His nose was almost completely blocked, the nasal discharge was crowded with eosinophil cells, he was deaf due to “glue ears” (serous otitis media), and he was very difficult to handle. He is probably the best example I have seen of glue ear due to milk, but these cases are seldom seen because they are usually treated by inserting grommets instead of avoiding the cause. The clues were that his mother was an allergic subject, his sister had been suspected of being intolerant of milk as an infant, and his grandfather had died of ulcerative colitis while on a high milk diet which was the fashionable treatment some years ago. Skin tests and immunology were all negative. After milk avoidance for eight weeks his hearing had recovered completely, his nose was clear, and there were very few eosinophils in the smear. His behaviour had become normal for the first time but reverted if he had been sneaking milk from the refrigerator.. Test feeds with milk produced a measurable decrease in his hearing, by measuring with a ruler how far away he could hear a loudly ticking watch. Nasal congestion and misbehaviour the day after he had milk was so obvious that his teachers always knew when he had had milk, for which he had a positive craving. In recent years there has been increasing interest in the USA in food intolerance or allergy as a cause of ‘glue ear’, which is the commonest cause of deafness in children. Recent researches have shown that the fluid which gathers in glue ears often contains much IgE, confirming that allergy is often the cause of this problem. The insertion of grommets, often repeatedly, is the usual mechanical approach to the problem, and is one of the commonest operations in children. Allergy as a cause is very seldom considered in the UK. Very recently gastric reflux has been found to be another unrecognized cause, due to the effect of refluxed acid from the stomach on the Eustachian tubes at the back of the throat while lying down at night. My registrar became interested in allergic rhinitis and a weekly session at the ENT department was arranged. He found that at least half of the patients attending this clinic with nasal problems had clear evidence of allergy, but this fact had not been realised. He published a paper on allergy in the ENT Department as a result of his experience which attracted no attention whatsoever. Allergy cannot be removed surgically, but this fact has not yet been recognised. I have occasionally seen patients who had had several operations on their nose and looked as if they have been beaten up, and had finally reached an allergist at their own insistence.. This is another example of over-specialisation in medicine!